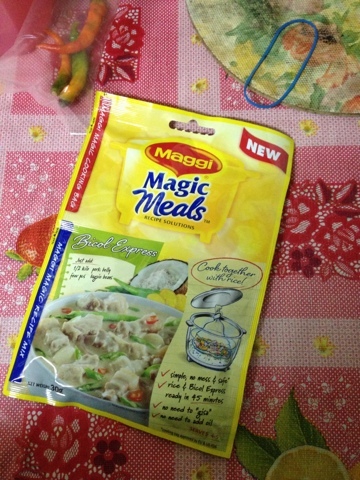 We saw the ad of the Maggi Magic Meals on tv and we were (very) excited to try it. We don't have the luxury of time to prepare meals every day since we are always in a rush and that made us love/hate fastfood meals so we have decided to try the MMM since you can save time! You will be able to cook rice while your ulam cooks! Wow! The Maggi Magic Meals comes in an aluminum pack with two compartments. One for the plastic and another one for the seasoning. Bright idea, indeed! 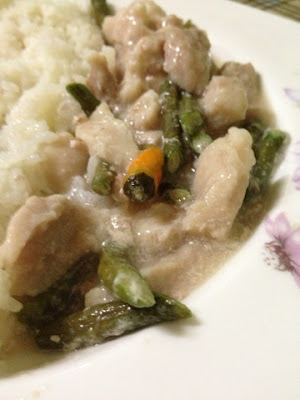 We got the Bicol Express since it's the one in the ad. The instructions came handy and was explained well. No "I don't understand moments." I need not to explain the step by step guide since everything is written already and to keep the excitement of the experience. After 45 minutes... Tahdah!!!! Honestly, I didn't expect it would taste as good as this. For a price of 35 pesos and serves 2 to 3 hungry people, it's supeeeer affordable. But most importantly, it saves time and the taste is really goooood! Perfect for people on the go!